Brilliant Earth is committed to providing the highest level of customer service. For more information, please contact us at 1.800.691.09521.800.691.0952, live chat, or email us. Brilliant Earth offers free insured FedEx® outgoing shipping on all US, Canadian, UK, and Australian orders. 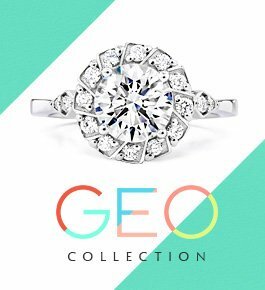 We also offer free return shipping for all US, Canadian, UK, and Australian ring and loose diamond orders. We offer complimentary 30 day returns so that you are satisfied with your order. Return within 30 days for an exchange or full refund. 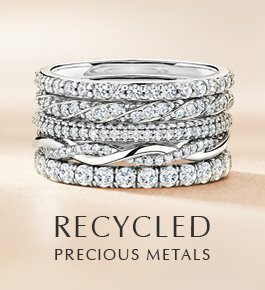 Return shipping is free for US, Canadian, UK, and Australian ring and loose diamond orders. To keep your surprise safe, your purchase arrives in discreet and unmarked packaging. Rings are presented in our responsibly sourced wood ring boxes and silver jewelry arrives in a fabric pouch inside a paper gift box. 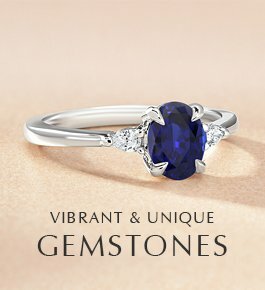 Brilliant Earth offers a complimentary ring resizing within the first 30 days. We can customize any of our standard items to fit your personal style. We can also create a one-of-a-kind full custom piece, or can special order a particular gemstone. We can engrave an engagement or wedding ring with your personalized message. 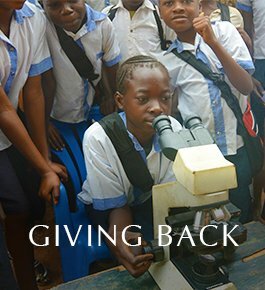 Brilliant Earth offers free FedEx International shipping to Canada. Canadian taxes are collected at the time of order. No additional duties apply. We offer FedEx International Priority shipping to the United Kingdom. UK taxes are collected at the time of order. No additional duties apply. We offer FedEx International Priority shipping to Australia. Australian taxes are collected at the time of order. No additional duties apply. We offer special 12 month financing with approved credit. Layaway plans are also available. Contact us to apply. We are proud to offer our entire jewelry collection to customers around the world. Contact us to place an order. We are committed to offering products of exceptional quality. We offer a free lifetime warranty against all manufacturing defects. We offer several payment options to make your purchase easier, including all major credit cards, bank wire, or Amazon checkout. US and Canadian bank wire payments receive a 1.5% discount. We offer a temporary solitaire engagement setting if you would like your partner to participate in selecting the setting, but are confident in the loose diamond. Our three-year extended service plan is an add-on that protects your purchase from wear and tear. Contact us for pricing. The Brilliant Earth showroom is an elegant and serene environment to privately view our jewelry collection. Make an appointment today! Make an appointment for a personalized consultation at our Los Angeles showroom in the popular Robertson Corridor. Visit our San Diego showroom in the La Plaza center and meet with one of our jewelry specialists to discover our collection of unique designs. Visit our Denver showroom in the Cherry Creek shopping district to discover the perfect piece of ethical fine jewelry. Visit our Chicago showroom on Oak Street, in the heart of Chicago's popular Gold Coast. Visit our DC showroom on Cady’s Alley, a picturesque shopping destination in the nation’s capital, to discover our jewelry collection in a serene and stylish space. Schedule a personalized appointment at our Newbury Street location to view our collection of engagement rings, wedding rings, vintage and fine jewelry. Brilliant Earth has teamed up with Lavalier to recommend jewelry insurance coverage that goes beyond most homeowner’s and renter’s insurance policies. We offer expedited production service if you need your order sooner than the expected timeframe. Upon request, we can also provide Saturday shipping and can hold your package at a FedEx location. Many of our diamonds are laser inscribed. Contact us to find out the inscription details of your selected diamond. Our jewelry specialists are happy to guide you through the entire purchase process. We can email images, recommend specific gem options, and provide quotes. A Brilliant Earth gift certificate is perfect for any occasion! Track your order online to determine your expected delivery date and FedEx tracking number, if it has been generated. 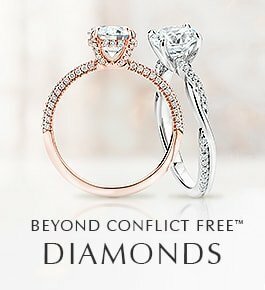 Join us in our mission to stop the trade in illicit and conflict diamonds and promote responsible practices in the jewelry industry. 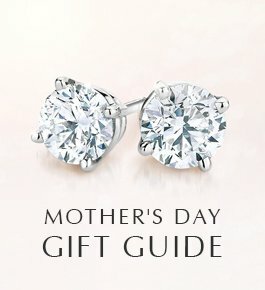 Upgrade your natural diamond and receive 100% of the original price. View details of our program.